The right canvas is the foundation for every good painting. At Jerry’s Artarama, our custom canvas options let you build a canvas that’s perfect for whatever you’re working on. 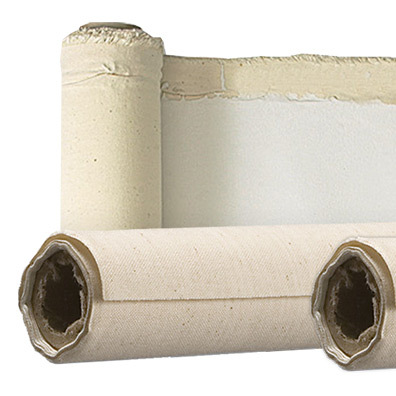 We offer a large variety of choices of the shapes, sizes, and styles of canvas for any need. Our quick turnaround from order to delivery means that you won’t have to wait long to get started making art on your new canvas. Our stores offer a large selection of prefabricated canvases for any artist. But if you have a special canvas need or want to make your work look its best, that’s where our custom canvas department comes into play. Our canvas experts can build the perfect canvas for you, no matter your size, material, or quantity needs. We work with you to find out exactly what you need in your next canvas and set out to make it a reality. When it comes to your next project, every detail counts. That’s why we let you refine every aspect of your canvas. From canvas material to bars to size, we let you customize every aspect of your next canvas. Our custom canvas departments can make canvases up to 120″(10ft. long) x 360″ (30ft. wide). Our process is designed to be simple. All you have to do is decide which material you want your canvas to be made of, which style of bars you want, and what your size requirements are. After that, call us or place your order in-store, and we’ll have your custom frame made within two weeks.